Unionisation is a long tradition in Norwegian working life. Associated union activity was therefore seen as a natural process when the petroleum industry became fully established in southern Norway during the 1970s. 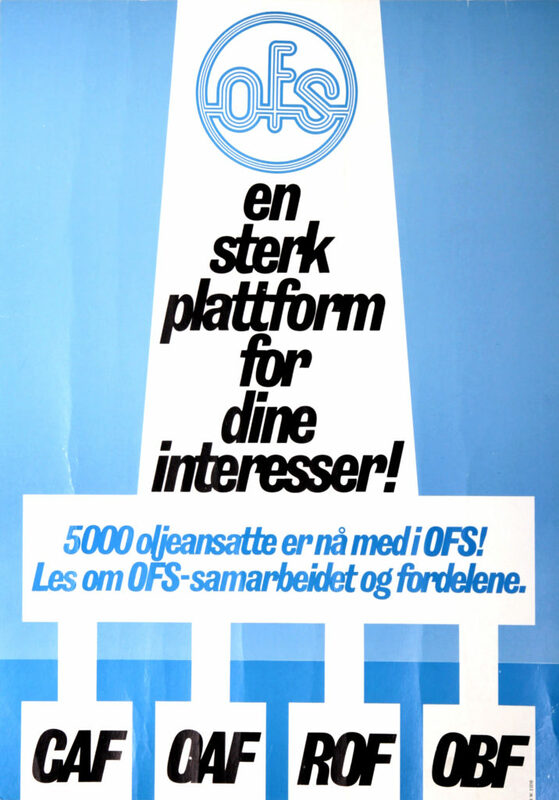 — NOPEF (Norsk Olje- og Petrokjemisk Fagforbund) was founded in 1977. These organisations followed the industry northwards along the Norwegian continental shelf in the 1980s. And several union branches were quickly formed both on land and offshore when the decision was taken to develop Draugen in 1988. This reflects the way working life in Norway is largely constructed around the “Norwegian model” – a strong welfare state, a regulated labour market and extensive “tripartite” collaboration between employers, unions and government. Bipartite cooperation between employers and unions is also pursued locally in the workplace, built on open processes and worker participation in job-related decisions. Both bi- and tripartite versions rest on a equality principle and depend on mutual trust, good communication and reciprocal recognition of roles and responsibilities. Worker participation – also known as industrial democracy – is an old Norwegian tradition, and became part of the main agreement between unions and employers as early as the 1930s. [REMOVE]Fotnote: Meland, T (2018), “Sikkerheten utfordres”, Norsk Oljemuseums Årbok. It has an almost equally lengthy engagement with organised Norwegian labour – starting with the transport workers’ union, which many of its drivers belonged to. 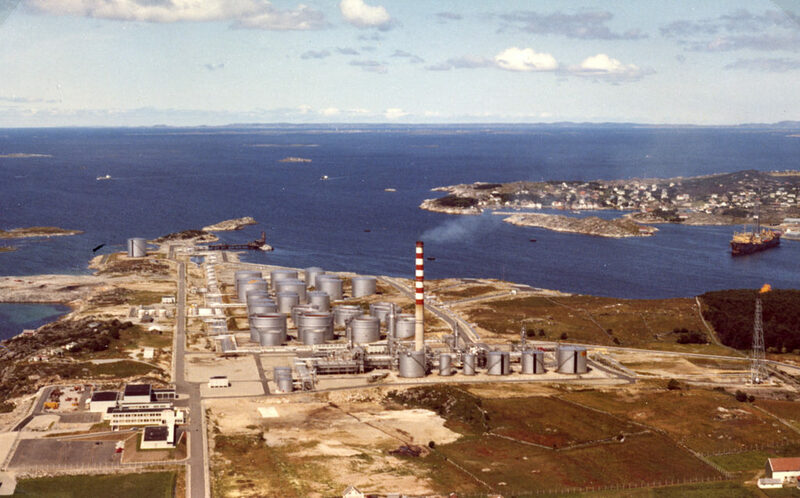 Shell opened its own refinery in Sola local authority outside Stavanger in 1967 (see the separate article on this facility), and an in-house union was also organised there. This later became part of the Norwegian Oil and Petrochemical Workers Union (Nopef), which has evolved into the Norwegian Union of Industry and Energy Workers (Industry Energy – IE). When Draugen came to be developed, it went without saying for Shell’s Norwegian arm that a collaboration had to be established with the workers and their organisations. Foreign companies do not always share the same understanding of Norway’s collaborative model. Norske Shell’s parent, Royal Dutch/Shell, is a big multinational group, and many of its executives and shareholders undoubtedly looked askance at the country’s commitment to worker participation. [REMOVE]Fotnote: Tor Arnesen interviewed by Trude Meland, Norwegian Petroleum Museum, 14 November 2017. But Norske Shell believed this to be both right and important. Norwegian regulations require unions to be involved in the ergonomic design and configuration of workplaces. When the Draugen platform was to be planned, however, there were no unions to confer with. No offshore organisation for the field existed at that time. Norske Shell was not the operator for any other developments on the Norwegian continental shelf (NCS), and therefore had few personnel with offshore experience. The company accordingly needed help, and it found this from state-owned Statoil (now Equinor) – which was then a fellow licensee in Draugen. Union members in Statoil with experience from the NCS commented on the platform plans, and their input was appended to the plan for development and operation (PDO) of the field. Recruitment to the Draugen operations organisation began in 1989. Shell consciously chose to hire personnel with union experience from its own refinery. Union officials at this facility were also invited to a dialogue with the company on how bipartite collaboration in the Draugen organisation could get off to the best possible start. Establishing good union activity, involving these bodies from an early stage and putting them in a position to do the best possible work were important goals for the Norwegian management. [REMOVE]Fotnote: Tor Arnesen interviewed by Trude Meland, Norwegian Petroleum Museum, 14 November 2017. Since Nopef was the dominant union at the Sola refinery, it not surprisingly took initiatives related to unionisation on Draugen at an early stage. [REMOVE]Fotnote: Nopef Aktuelt no 2 1993, “Nopef og OFS kjører i tospann på Draugen”. A Nopef branch was established in late 1991 for personnel in the project team for the field, which later became its operations organisation, and an interim executive committee elected. The Federation of Offshore Workers Trade Unions (OFS), a rival body, created its own branch in the Draugen organisation during the spring of 1992, primarily for offshore personnel. [REMOVE]Fotnote: Ofsa, no 4 2002, “10 års jubileum for OFS klubben A/S Norske Shell”: 13. While Nopef was part of the Confederation of Norwegian Trade Unions (LO), the OFS was independent. Tensions quickly arose between the two branches. The “Draugen committee” was established in May 1992 in a bid to improve cooperation,[REMOVE]Fotnote: Nopef Aktuelt no 2 1993, “Nopef og OFS kjører i tospann på Draugen”. and Nopef and the OFS thereby succeeded in coordinating their demands towards Shell. The two unions jointly reached a negotiated deal for land-based employees in January 1993. A similar agreement was later concluded for offshore personnel. A third union also made its appearance in 1992, when a number of land-based office staff in the operations organisation joined the Norwegian Organisation of Managers and Executives. This also created a branch for senior technicians on the Draugen platform. The first Draugen-related labour dispute arose as early as the spring of 1993, before the platform had even been installed on the field. Shell had chartered the Bahamas-registered Regalia flotel (accommodation rig) to provide berths for additional personnel during completion work. This unit owned by Rockwater UK, whose Rockwater Norge subsidiary held the turnkey contract for work to be done on the flotel. Britain’s Kelvin company secured the catering job. The unions believed that the British-dominated owners planned to use foreign labour to avoid Norwegian pay and working conditions on board, and reacted sharply. In their view, Norwegian collective labour agreements should apply to all foreign companies which secured work in Norway[REMOVE]Fotnote: NTBtekst, 6 May 1993, “Strid om forpleiningskontrakt på Draugen”. and they were backed by the labour exchange in Kristiansund. The latter wrote to the Norwegian Petroleum Directorate (NPD) to point out that it had made a big commitment to training unemployed locals for catering jobs, and was disappointed that foreigners were to be used for such work on Draugen. [REMOVE]Fotnote: Minutes of planning meeting for audits of A/S Norske Shell and Esso in the third quarter, prepared by the NPD on 17 June 1993. From the register of minutes, SAST/A101366. Underlying the fight over Norwegian rates for Regalia personnel was the debate on Norway’s possible EU membership, which was to be decided by a referendum in November 1994. The European Economic Area (EEA) agreement between the European Free Trade Area (Efta) – including Norway ­– and the EU had been signed in May 1992 and came into force on 1 January 1994. Due to apply regardless of the referendum outcome, this deal gave Norway access to the EU’s internal market where national boundaries would not affect trade, investment and mobility. The OFS, in particular, feared that EEA membership could have extensive consequences in the oil sector and lead to “social dumping” by undermining Norwegian union rights. A particular goal of the unions was to secure legislation which ensured that collective pay deals with management had to apply to foreign companies. While many personnel on the UK continental shelf worked a two weeks on-two weeks off rotation, the majority on the NCS had two weeks on, four weeks off, two weeks on, three weeks off. [REMOVE]Fotnote: Tønnesen, Oddleiv (1998), “Arbeidstidsordninger på norsk og britisk sokkel”, Ofsa, no 4: 12-13. When the Regalia issue arose, the OFS contacted members of the Storting (parliament) from various political parties to explain its views. Tora Aasland Houg from the anti-EU Socialist Left party raised the matter, and Labour industry minister Finn Kristensen made it clear that Norwegian pay and conditions must apply on Regalia. [REMOVE]Fotnote: Proceedings of the Storting, 1992/93, vol 137 No 7c Question Time 12 May 1993. Tora Aasland Houg. That had consequences. Rockwater and Kelvin changed their minds, and it became clear in June 1993 that the bulk of the workforce on the rig would be Norwegians. [REMOVE]Fotnote: Bergflødt, Ørjan (1993), “Med Rockwater’s ‘Regalia’ på Draugen. Med norsk arbeidskraft for norske varer og tjenester, Ofsa no 3, 1993:6. The Draugen committee functioned well. In a 1997 interview, all three union branch chairs emphasised that their collaboration had been unusually good. [REMOVE]Fotnote: Shell UP, May 1997, “Nye fagforeningsledere på Draugen”: 14. Regular meetings where the chairs coordinated their negotiating positions meant that the workforce came across as united in their discussions with management. Similarly, regular meetings with Shell had made the position clearer for the unions. It should be added that such collaboration was not unique for Norway’s oil sector. The OFS and Nopef had begun collaborating actively over crew on mobile units as early as 1992. On Draugen, however, such cooperation appeared to work well for both employees and employer. Whether due to this good collaboration or other causes, Draugen has been spared strikes related to local conflicts. But the field has been affected by national stoppages related to pay talks. [REMOVE]Fotnote: Conversation on 8 March 2017 at Råket between Gunleiv Hadland, Norwegian Petroleum Museum, and union leaders Ola Krogsrud in Safe and Atle Wadstensvik at IE. In April 1996, the Draugen platform was one of several offshore installations to be taken out on strike as part of a dispute involving the OFS. Originally for offshore workers alone, it now wanted to expand its membership base to include land-based construction and maintenance personnel who worked on the NCS for periods. [REMOVE]Fotnote: Aftenposten, 10 May 1996, “OFS fikk svarteper i Nordsjøen: Oljestreik avblåst da de ansatte fikk nok”. The OFS demanded a separate pay agreement for these groups – known collectively as the insulation, scaffolding and surface treatment (ISS) trades. Representing the employers, the Confederation of Norwegian Business (NHO) took the view that that LO-affiliated United Federation of Trade Unions already had such an agreement. It accordingly refused to negotiate separately with the OFS, which ordered its ISS members employed on land to down tools on 10 April in order to apply pressure to the NHO. [REMOVE]Fotnote: Klassekampen, 4 May 1996, “Ønsker siste reis for OFS”. To give weight to its demands, the union also called out certain offshore branches on a sympathy strike from 4-9 May 1996. That halted production from Heimdal, Oseberg C, Ula, Statfjord B and C, Gullfaks A and B, and Snorre as well as Draugen. Since the latter platform was already shut down for a maintenance turnaround, the consequences for this field were not substantial. [REMOVE]Fotnote: NTB, 5 May 1996, “Mindre tap enn antatt av oljestreiken”. Poor organisation and internal splits meant the strike had to be called off without the OFS achieving its objectives. This was one reason why the previously independent union opted to join the Confederation of Vocational Unions (YS) in March 1997. Becoming part of a larger combine was intended to strengthen the union’s position. [REMOVE]Fotnote: Meland, Trude (2015), “ABC – fra husforening til LO”, Norsk Oljemuseums årbok. However, the OFS branches on Ekofisk and Valhall switched to Nopef as a result of the conflicts. A strike in 2000 did have consequences for Draugen, along with Åsgard B and Heimdal. These installations were shut down for 13 days, from 10-23 June. The dispute centred on a demand by the OFS and the Norwegian Organisation of Managers and Executives for a flexible retirement age to cover workers aged between 57 and 62. [REMOVE]Fotnote: Stavanger Aftenblad, 13 June 2000, “Oljestreiken kan bli lang, oljeprisen over 30 dollar”. It responded to the stoppage by giving notice of a lock-out from 23 June for all members of the two unions on the NCS who had not already downed tools. That would have involved 2 680 workers in all, and could thereby have hit the whole NCS as well as having big consequences for Norwegian government revenues. The unions failed to secure acceptance for any of their demands, since the National Wages Board found for the employers on all counts. [REMOVE]Fotnote: NTB tekst, 13 September 2000, “Oljearbeidere raser mot Rikslønnsnemnda”. In August 2005, the OFS became part of the Norwegian Union of Energy Workers (Safe) along with the Norwegian Association for Salaried Employees (Nofu) and Parat/Prifoil – also YS members. The aim was to create larger unions in the energy sector. LO members Nopef and the Norwegian Union of Chemical Industry Workers also joined forces in 2006 to create the new IE body – again to acquire more weight. The Draugen organisation and Norske Shell in general have been through several rounds of downsizing and restructuring, with the unions trying to oppose workforce cutbacks on safety grounds. At the same time, they had to accept that production from the field began to decline after 2001. That in turn meant redundancies and efficiency enhancements so that commercial operation could last as long as possible. [REMOVE]Fotnote: Conversation on 8 March 2017 at Råket between Gunleiv Hadland, Norwegian Petroleum Museum, and union leader Ola Krogsrud in Safe and Atle Wadstensvik at IE. Initiated in 2002, the “shaping up for the future” change process for Draugen aimed to reduce operating costs and permit efficient production with fewer personnel. [REMOVE]Fotnote: Petroleum Safety Authority Norway, 27 February 2004, Tilsyn – styring av HMS i Norske Shell. http://www.ptil.no/nyheter/tilsyn-styring-av-hms-i-norske-shell-article1057-702.html. Analyses identified those parts of the organisation with spare capacity, and several functions were merged. Over time, multiskilling became an established part of job descriptions. [REMOVE]Fotnote: Telephone interview between Gunleiv Hadland, Norwegian Petroleum Museum, and Alf Kristian Lillebo, 14 May 2018. Permanent offshore staffing on Draugen was reduced by seven posts in 2002-04. [REMOVE]Fotnote: Presentation on Draugen and Ormen Lane, Shell Exploration & Production. PSA annual meeting, 6 February 2008. That included eliminating a separate radio operator job. Union officials opposed this decision, partly on the grounds that this person’s expertise and experience could not be replicated by others in the event of alarms or crises. [REMOVE]Fotnote: Tidens Krav, 24 October 2003, “Draugen fjerner radio-operatørene. Tillitsvalgte frykter at det kan svekke sikkerheten”. In 2004, the platform nurse was made responsible for radio communication with helicopters and for weather observations, while the control room also took over some radio operator functions. The latter retrained as a health, safety, environment and quality supervisor. Crane and material handling jobs were combined into single post, while the construction supervisor job was also phased out. [REMOVE]Fotnote: Shell presentation on change processes at meeting with the Petroleum Safety Authority Norway, 20 September 2005. Another strategy for reducing the offshore workforce has been to move operations to land. One example is the job of production supervisor on the night shift. This was phased out on the platform in 2004 in favour of increased support from land,[REMOVE]Fotnote: Shell presentation on change processes at meeting with the Petroleum Safety Authority Norway, 20 September 2005. with a job as production supervisor established there and the onshore organisation restructured. The job on land was done by people with offshore experience, who swapped between working on land or on the platform. As many administrative jobs as possible were transferred ashore. 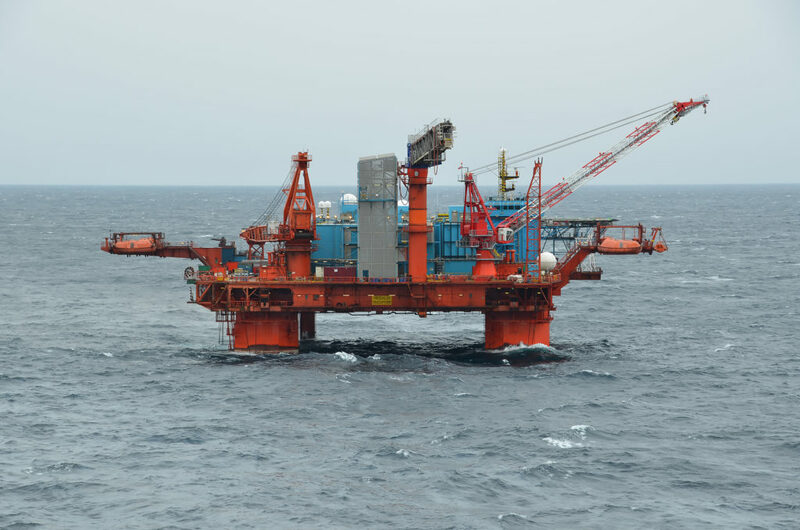 The Ormen Lange gas field, which lies about 120 kilometres north-west of Kristiansund, came on stream in 2007 after being developed with subsea installations. These were tied back to a land-based plant at Nyhamna in Aukra local authority near Molde, where Safe became the dominant union. That contrasted with the Draugen position, with three organisations all more or less equally active. [REMOVE]Fotnote: Conversation of 7 March 2017 on Draugen with Werner Frøland, head of the technician section of the Norwegian Organisation of Managers and Executives in Shell. The head of Draugen operations was also given responsibility from December 2007 for Ormen Lange, which was operated from land. Both operations teams were coordinated, and a number of employees with Draugen experience were moved to the Ormen Lange group. 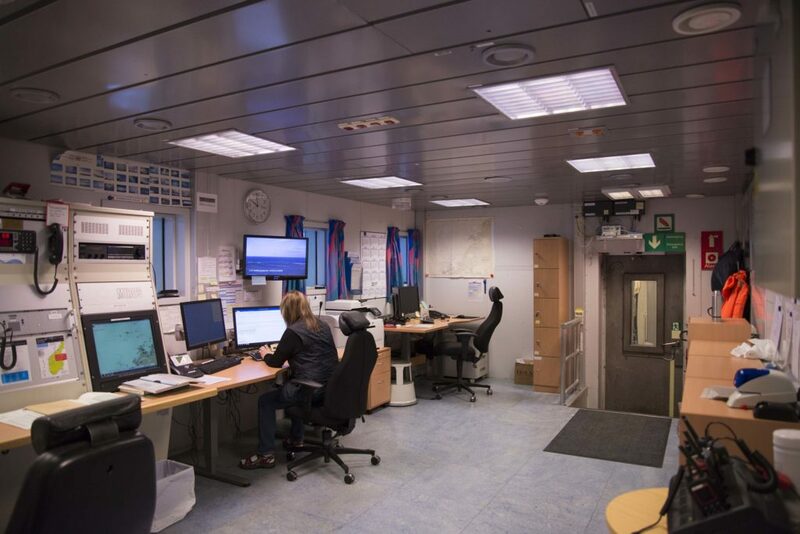 An operations centre affiliated with Shell’s Kristiansund office was established to support the two fields, and more remote control and follow-up from land also became possible for Draugen. In connection with this conversion, reorganisations were initiated with the aim of reducing the permanent workforce on the platform. The unions had particular concerns about safety in the process, and cooperated with the operations management to ensure that these considerations were taken into account. Reducing personnel offshore was not unique to Draugen, but formed part of general thinking in the oil and gas industry on moving jobs ashore to reduce operating costs. [REMOVE]Fotnote: Telephone interview between Gunleiv Hadland, Norwegian Petroleum Museum, and Alf Kristian Lillebo, 14 May 2018. 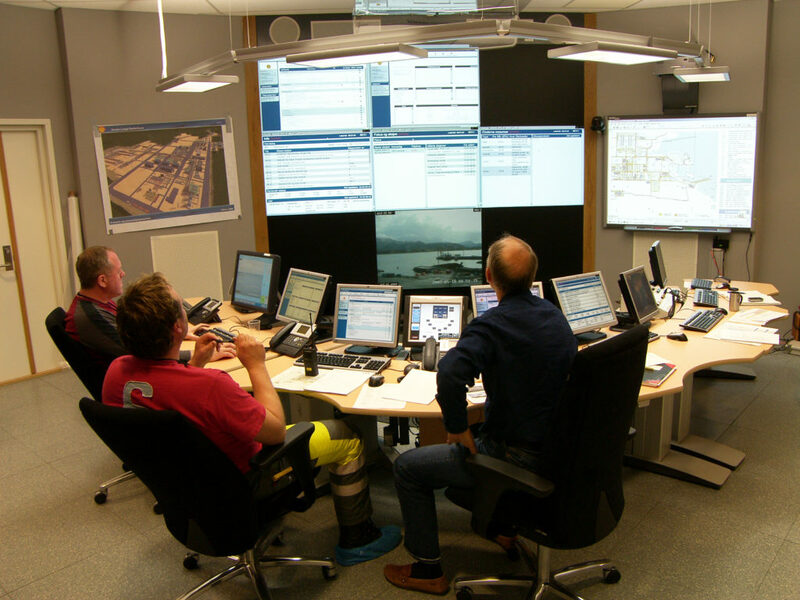 The operations centre increased opportunities for real-time monitoring and collaboration, and Draugen could be run from land if desired. A general trend in offshore work is the decline in the number of human-controlled processes, while communication increasingly takes place between machines. [REMOVE]Fotnote: Paulsen, Gard (2005), Informasjon over Nordsjøen: Telekommunikasjoner på norsk sokkel, BI Norwegian Business School, Sandvika. The aim is to reduce costs and optimise output, thereby extending a field’s producing life. Committing to e-operation means the permanent offshore workforce can be cut even further. Union officials have been involved in this process by making safety assessments and commenting on job redefinitions and change processes to ensure that reorganisations preserve security. One issue has been whether remote operation and transferring control functions to land would mean that people feel safer, or alternatively less secure. Fewer workers offshore could mean that not enough personnel are present in a crisis – particularly if communication with land is disrupted. New demands for expertise and adaptation are also made on employees. On the positive side, the number of helicopter flights can be reduced and fewer people need to spend time offshore. Another concern was that jobs would be transferred to low-cost countries, since monitoring and remote control could potentially be carried out over very long distance. [REMOVE]Fotnote: “E-drift og fjernstyring sett fra fagforeningenes ståsted”. https://www.forskningsradet.no/csstorage/vedlegg/furre.pdf. Transferring work to land can also be viewed in relation to the development of Ormen Lange, which acted as a driving force in technological advances related to remote operation from land. [REMOVE]Fotnote: Norwegian Oil Industry Association report (2003), eDrift på norsk sokkel – det tredje effektiviseringsspranget. Union activities on Draugen were built up on the basis of employees who had earlier been involved in such work at the Shell refinery. One important factor has been the participation of three different union branches. Officials from this trio have mostly succeeded in cooperating and coordinating their relations with employer and government. The unions have had to deal with downsizings and reorganisations, and with the transfer of jobs to land. They appreciated the need for cost-effective operation, but were concerned that reductions should not affect safety on the field. [REMOVE]Fotnote: Shell Drift Draugen (2005), “De tillitsvalgte er med på laget”, A/S Norske Shell.Employees in the operations organisation have been taken out on strike, but that has been the result of national conflicts rather than local conditions.